Wow, how did November go by so fast?! It was such a busy month for me and I'm so ready for December. 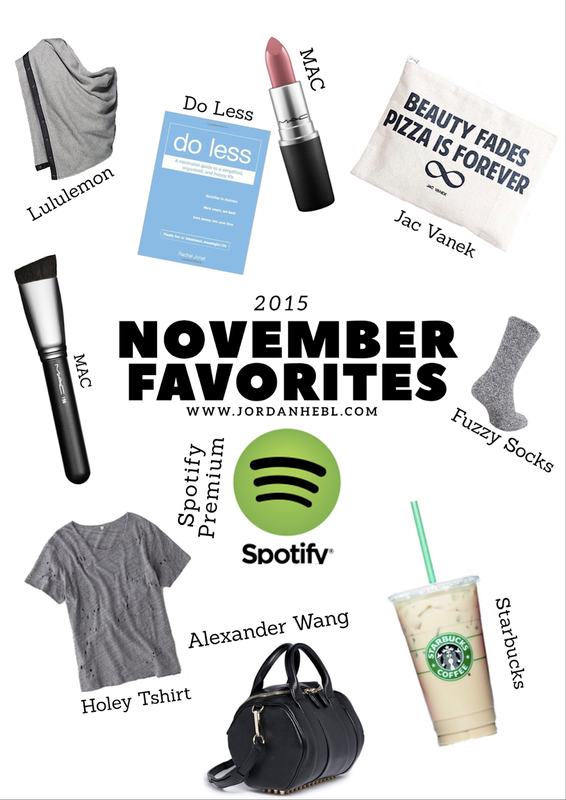 I thought I would start doing monthly favorites to share all of the things I've been loving this month with you! MAC "Creme in Your Coffee" Lipstick. This is seriously one of the most beautiful lipsticks I own. I found myself reaching for it on a daily basis this month. 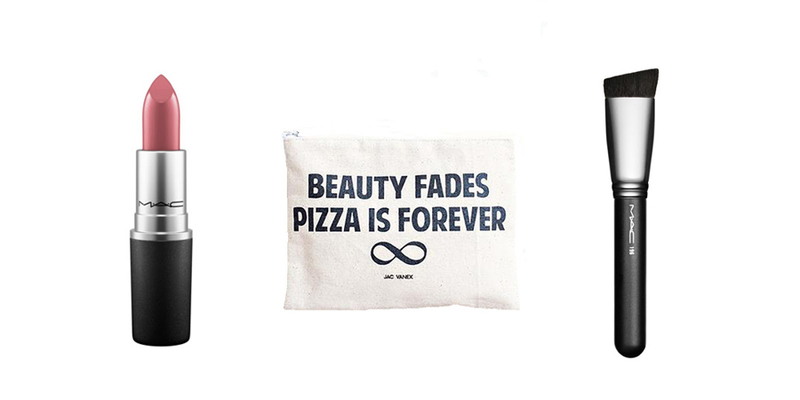 Jac Vanek makeup bag. I actually won this makeup bag in an Instagram giveaway and I have since been using it to store my makeup brushes. Keeping them separate from my other makeup keeps them from getting gross and the bristles from getting ruined. MAC Foundation Brush. I used to hate putting foundation on because it got all over my fingers and it never really looked that great when I applied it without a brush. You need this brush in your life. Alexander Wang Rockie Duffel bag. This isn't technically clothing, but I LOVE THIS BAG. I just had to include it. Lululemon infinity scarf. This thing I amazing. There are like 20 different ways to wear it! 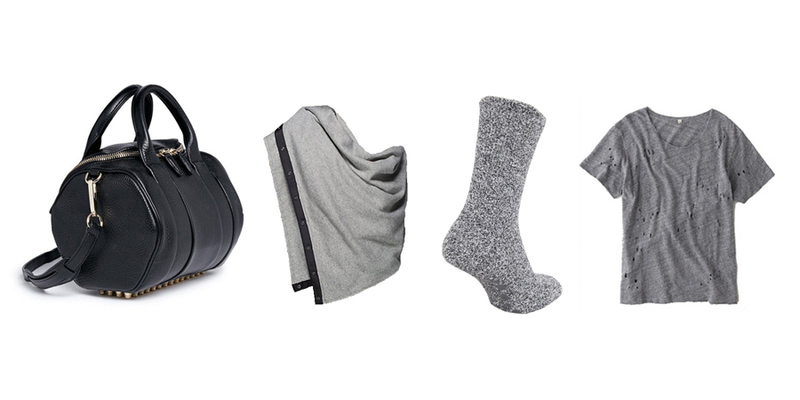 It was pretty much an outfit staple every day in November. Fuzzy Socks. No explanation needed, they are just the best thing ever. Holey T-Shirts. I just love how these look layered. I have one or two that I bought, but I also have a few that I diy-ed that I love just as much. Spotify Premium. I actually get a free premium membership through my job at Starbucks, which is just too awesome. I literally use Spotify every single day now. 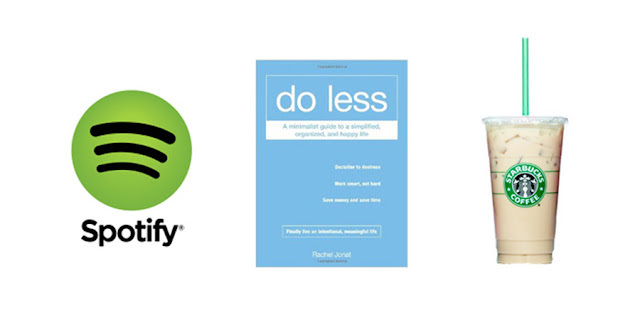 Do Less: A minimalist guide to a simplified, organized, and happy life. Not to sound cliche, but this book has been seriously life-changing. I have always wanted to live a slightly more minimalist life, and this book gave me the extra push I needed. Starbucks caramel iced coffee with cream and extra caramel drizzle. YUM. So that's it for this month! Comment down below your favorites at the moment!